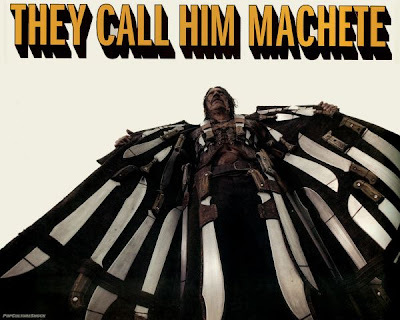 Word is floating around the net that Robert Rodriguez's faux trailer "Machete" from Grindhouse may finally be getting the feature treatment as discussed and rumored since the release of the double feature box office flop in 07. The film will be based off the full length trailer that was shown in Grindhouse and is an idea that Trejo and Robert Rodriguez have kicked around since Desperado. Back in 2007 RR said a script was finished. Now we have word that "Machete" may begin shooting later this year.